How is it that people in search of healing were at one time able to experience the therapeutic effects of “animal magnetism”? 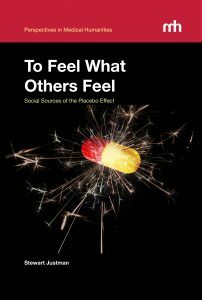 The evidence suggests that those who went in for treatments we would now call placebos didn’t feign their sensations but felt what they supposed others felt; they reacted as social beings. In one way or another, so do we today. But while the feeling of membership buoys us and may contribute to health, that is not all it can do, medically speaking. In this study a humanist looks at the placebo effect, taking into account both its history and its ambiguity and bringing out the more questionable potential of some health fashions, trends, and movements of our own time.